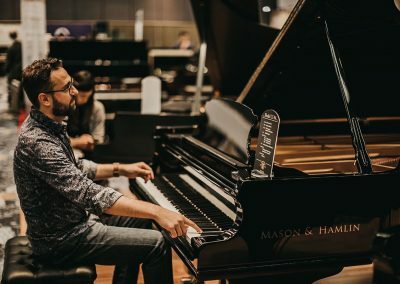 A single player sits down on the Mason & Hamlin BB grand piano. He begins with a simple blues melody, but slowly adds more and more layers. 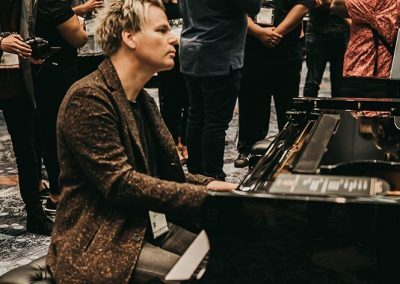 At first, people walk past, attracted to other pianists, but one or two people are struck by the performance and sound of the artist. A small crowd begins to form around the Mason & Hamlin booth; all eyes are on him. Suddenly, a burst of notes are heard adjacent to the pianist. The crowd looks over to see another pianist on a Mason & Hamlin CC concert grand piano playing. 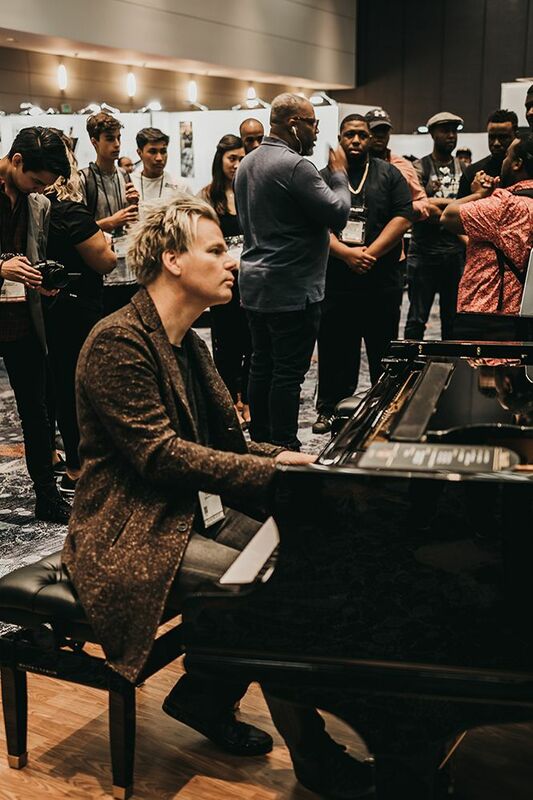 With confidence and ease, he takes the lead with a gospel improvisation as the pianist on the BB adds rhythm and support. The once-small crowd has now filled the entire Mason & Hamlin booth with smartphones recording the electric moment. 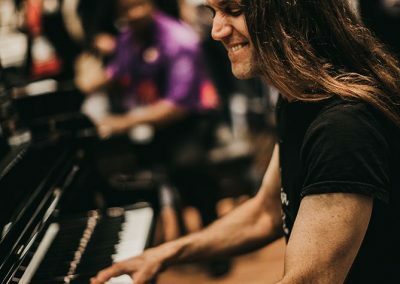 To add a cherry on top, a third pianist has joined into this musical competition, adding even more energy to this special moment. 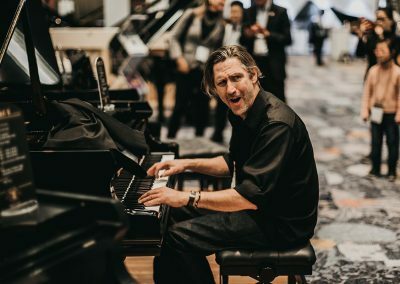 NAMM 2019 (National Association for Music Merchants) was, for us at Mason & Hamlin, a wonderful opportunity make and reconnect with friends once again. 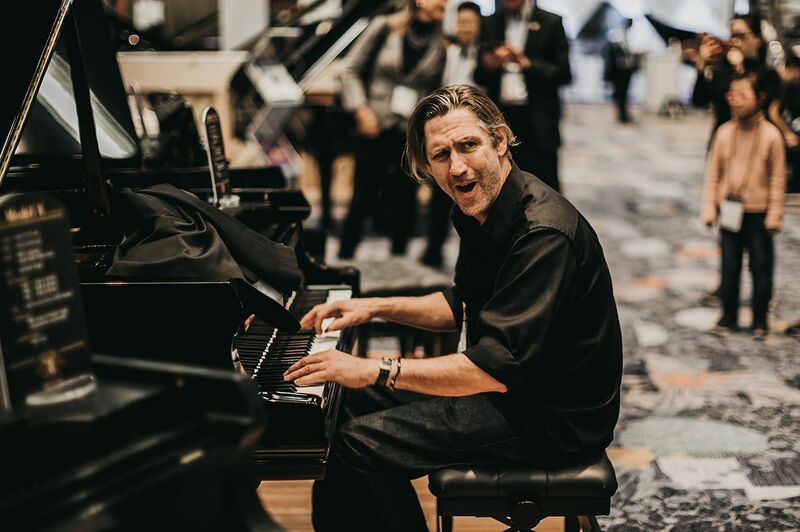 This year, we had the privilege of meeting so many different people from different walks of life and having them play at our booth—from novices to well known artists, playing jazz to honky-tonk to gospel. 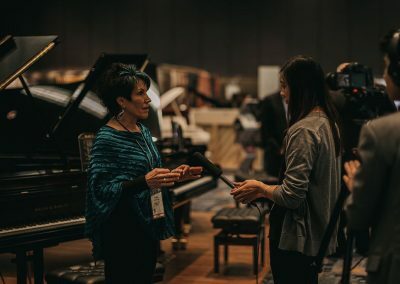 People especially enjoyed our Model CC concert grand, which was the largest public piano available to play. 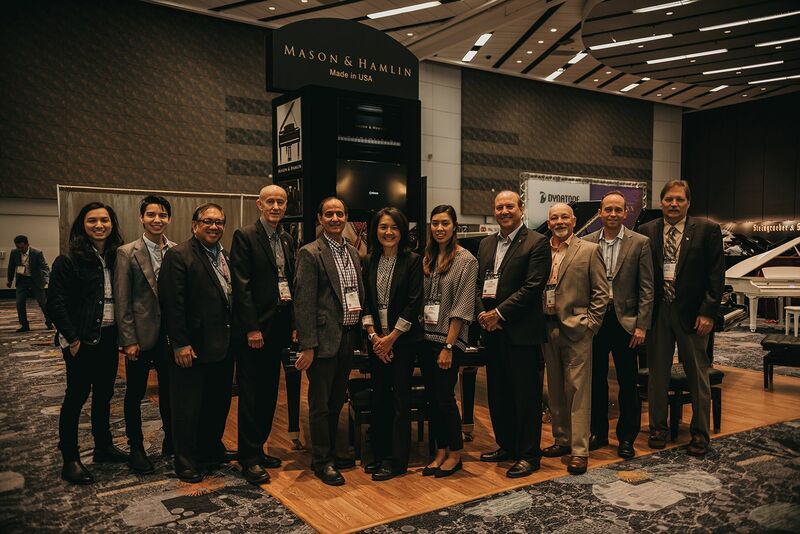 It was wonderful to have four of our Mason & Hamlin artists, Brian Culbertson, Cecil Ramirez, Charles Szczepanek, and Ron Tanski, as well as many new faces, perform at the booth during the show. 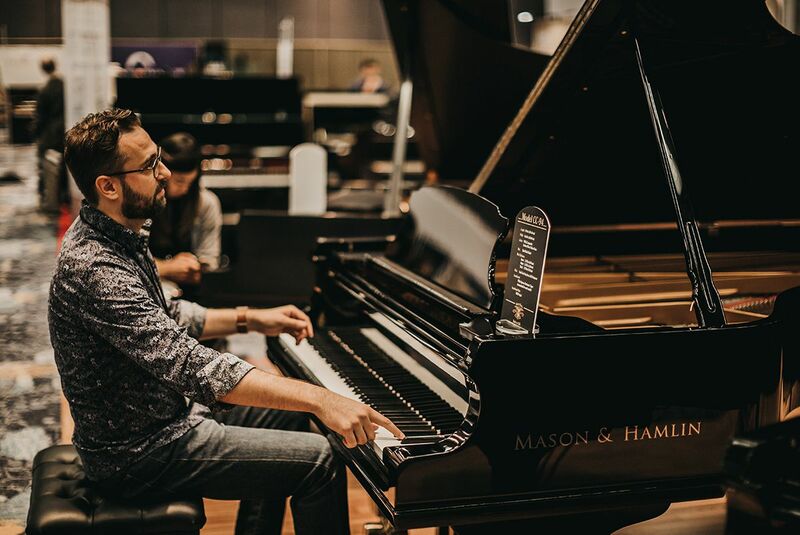 So many players spoke highly of our Mason & Hamlin pianos. The sound of the Mason & Hamlin inspires me to create, and that’s invaluable. A big thank you to our hard working craftsmen and women of Mason & Hamlin. 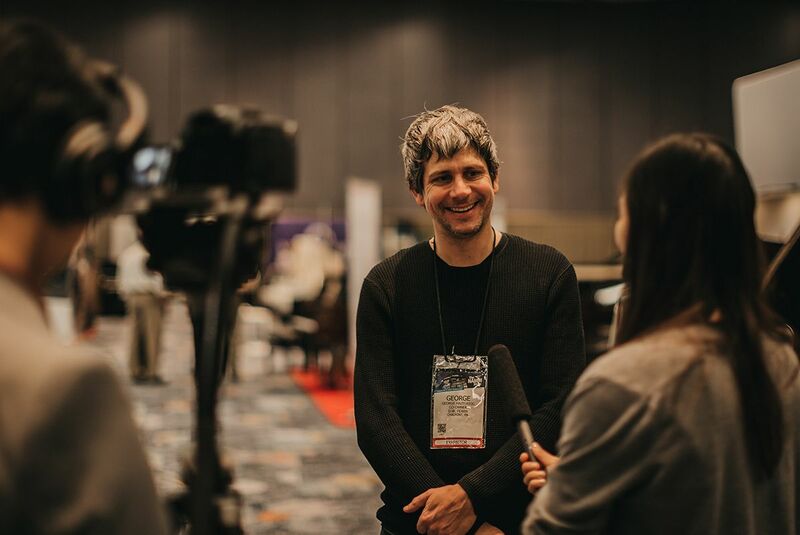 Thanks to their behind-the-scenes effort, we were able to attend Winter NAMM 2019 with excellent products and instruments that allowed us to create, connect, and meet more artists, technicians, dealers, and friends. 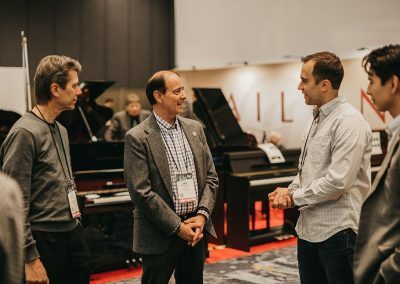 It was wonderful to see so many technicians, musicians, rebuilders, dealers, and companies in the piano industry. 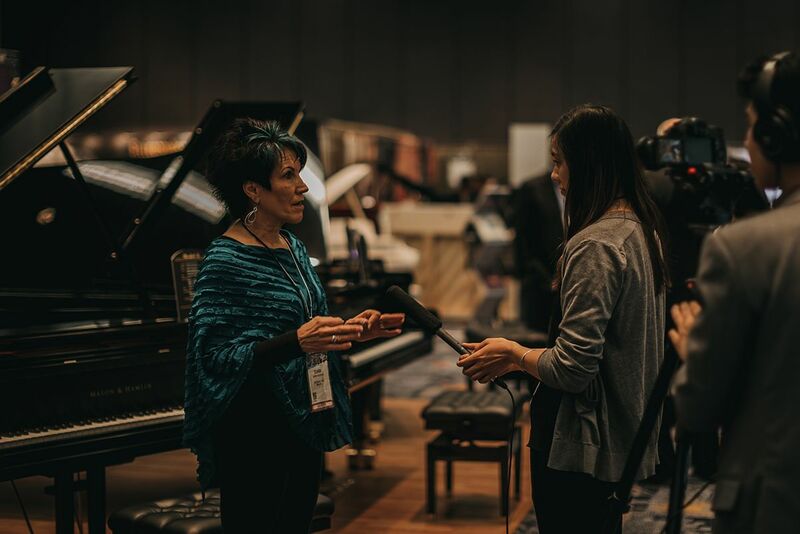 We know that it has been a challenging past year for so many of you and we are grateful for your presence, work, and impact in the piano industry. 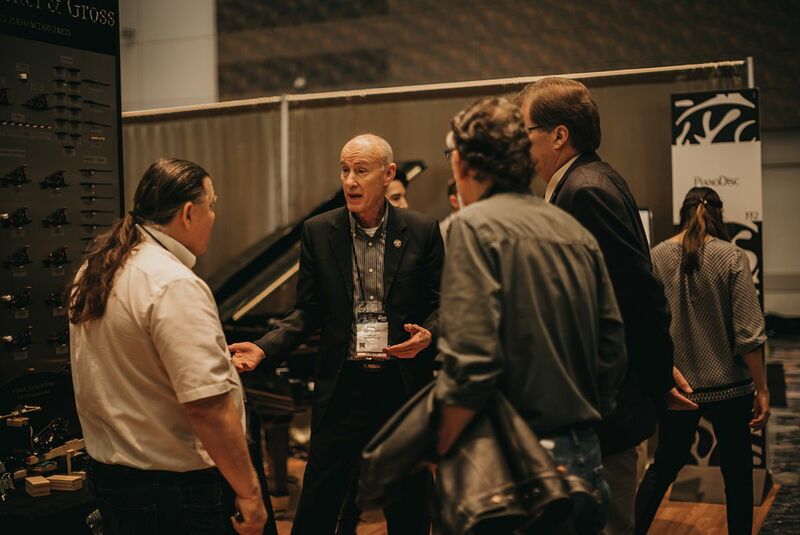 For us, it has been a wonderful thirty years attending NAMM and we hope to attend many more in the future. 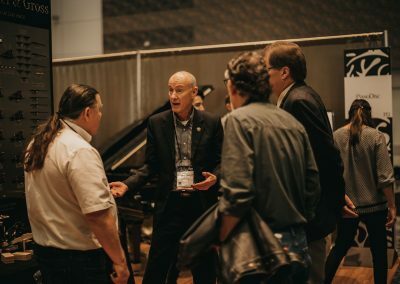 NAMM remains not only an important place to introduce new innovation and technology but also a place to foster and continue creativity, passion, and new and lifelong friendships through music. As we project this coming year, our goal and desire for 2019 is to be a year of continued innovation, quality craftsmanship, deepening tires and relationships, and new collaborations within the industry. 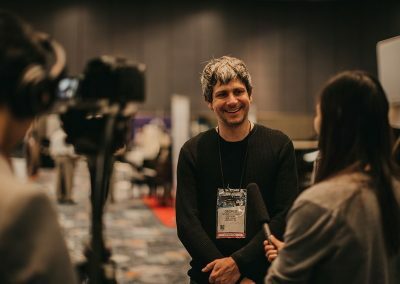 We look forward to connecting with you and others more in the months to come. 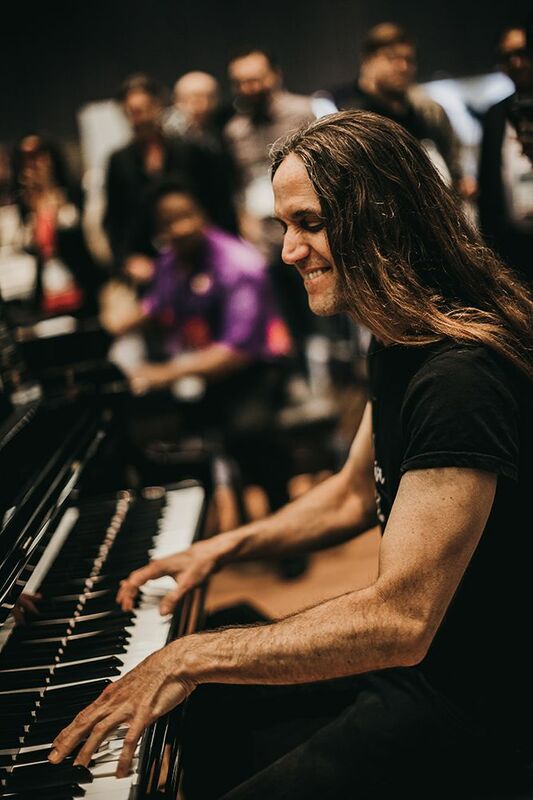 A big thanks to those who came out to our booth this year— You have truly made this year’s show unforgettable for us and those who attended NAMM 2019. Which Mason Is Right for You? Our digital catalog will help you choose the ideal Mason & Hamlin. Answer your questions or schedule a tour today. 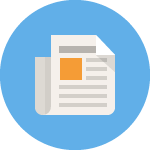 Don't miss our latest news, updates, and articles from Mason & Hamlin. 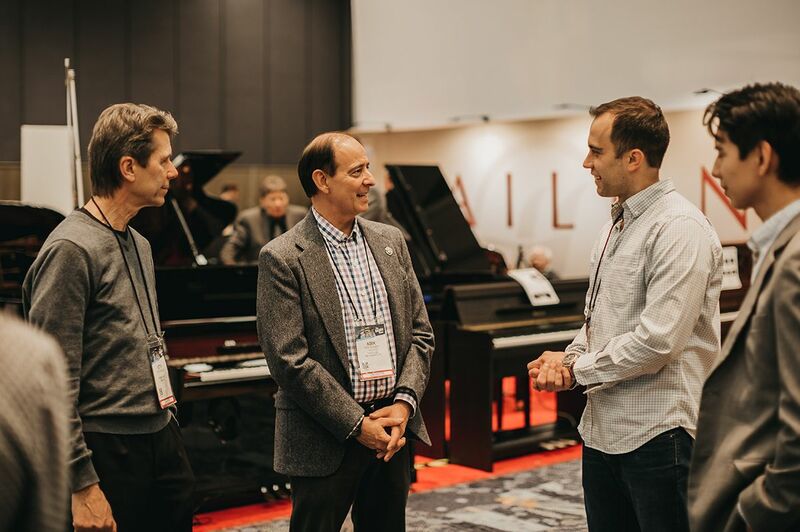 Mason & Hamlin Piano Co.
Join our mailing list to receive the latest news, updates, and articles from Mason & Hamlin.